Solar Impulse, the aeroplane that is powered only by the sun, has landed in Hawaii after making a historic 7,200km flight across the Pacific from Japan. Pilot Andre Borschberg brought the vehicle gently down on to the runway of Kalaeloa Airport at 05:55 local time (15:55 GMT; 16:55 BST). 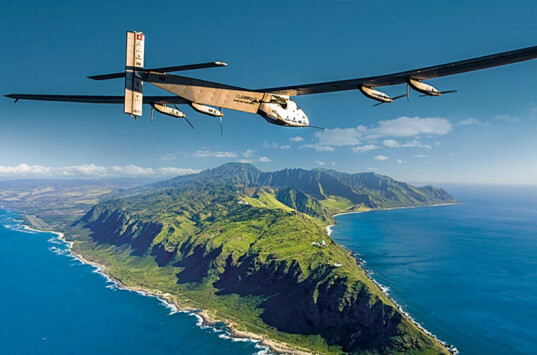 The distance covered and the time spent in the air - 118 hours - are records for manned, solar-powered flight. The duration is also an absolute record for a solo, un-refuelled journey. Mr Borschberg's time betters that of the American adventurer Steve Fossett who spent 76 hours aloft in a single-seater jet in 2006. Despite being in the cockpit for so long, the Swiss pilot said he did not feel that tired: "Interestingly, not really. "I am also astonished. We got so much support during the flight from so many people; it gave me so much energy." Sir Jonathan previously held the role of senior vice president of design and helped design of some of the tech giant's most popular gadgets. He was knighted in 2012 for his services to design. In an internal memo to employees, Chief Executive Tim Cook said Sir Jonathan's newly created role would now expand beyond its devices and into designing the company's retail stores, new California campus and even office furniture. Apple is in the middle of building a new campus, also known as "spaceship" for its circular shape that will house about 12,000 workers. You will only be allowed to express yourself if you become a hologram! Late last year the Spanish government passed a law that set extreme fines for protesters convening outside of government buildings. In response to the controversial Citizen Safety Law, which will take effect on July 1, Spanish activists have staged the world's first ever virtual political demonstration. 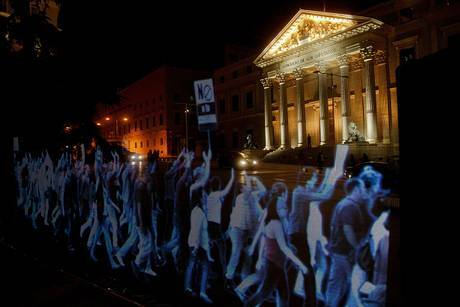 After months of massive flesh-and-blood protests against the so-called 'gag law', thousands of holograms last night marched in front of the Spanish parliament in Madrid. 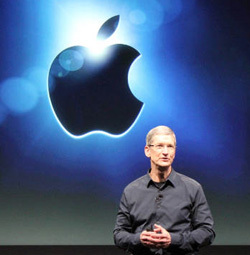 Apple's goal has always been to make powerful technology more accessible, more relevant and ultimately, more personal. 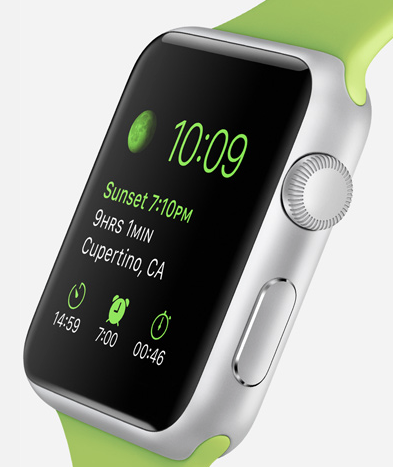 Apple Watch represents a new chapter in the relationship people have with technology. It's the most personal product Apple has ever made, because it's the first one designed to be worn. High-quality watches have long been defined by their ability to keep unfailingly accurate time, and Apple Watch is no exception. In conjunction with your iPhone, it keeps time within 50 milliseconds of the definitive global time standard. It even lets you customize your watch face to present time in a more meaningful, personal context that's relevant to your life and schedule. Microsoft unveils HoloLens as they company envisions a world where technology could become more personal—where it could adapt to the natural ways we communicate, learn, and create. Where our digital lives would seamlessly connect with real life. 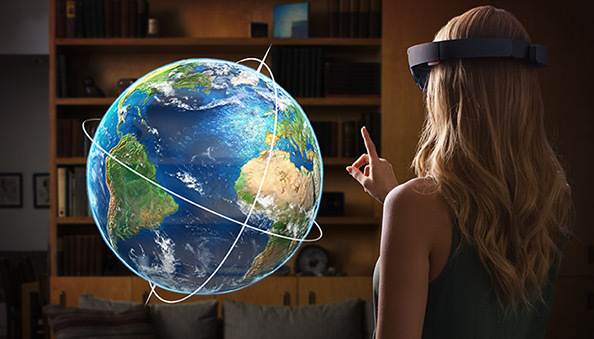 The result is the world's most advanced holographic computing platform, enabled by Windows 10. For the first time ever, Microsoft HoloLens brings high-definition holograms to life in your world, where they integrate with your physical places, spaces, and things. Holograms will improve the way you do things every day, and enable you to do things you've never done before.